People can find diversity of tourism over here. Fun parks are all with modern technology material like 5d theatre, freesh bee, go-carting, bungy-jumping haunted house etc. Wild park is situated at Charabara forest, a very thick pine forest leads to the beautiful forest that is also a water catchment area for Shimla city. The other destination Manali is more blessed by the nature. In the lap of High Himalaya Mountains Manali is an evergreen tourist destination. The wide area of Kullu valley is covered with this destination. Hundreds of tourist/picnic points are located here. The numerous destinations over here needs a lot of time to explore. We have tried best to cover all major tourist destinations in our Shimla Manali Tour Package from Chandigarh. 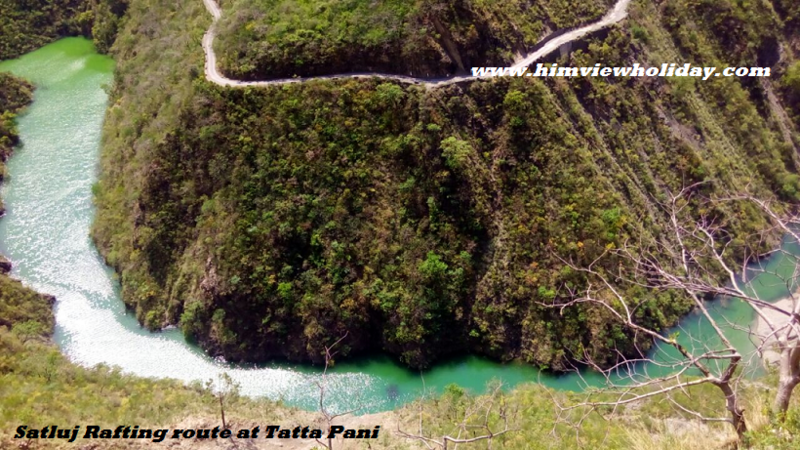 Himview Holiday has tie ups with most scenic view and best affordable hotels and lodges. Our tour packages are worth satisfactory for budgeted customers. 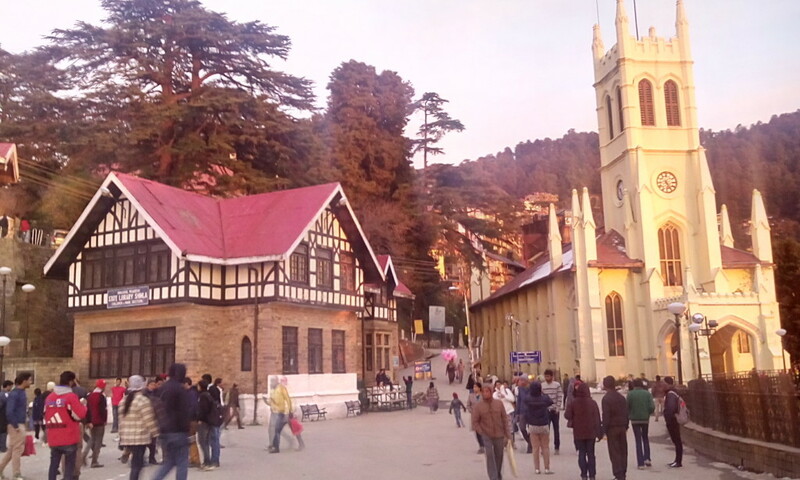 A very popular on the globe even from the colonial era, Shimla was once the summer capital of India at the tome of British rule. This is the first part of our package. The British officers used to come here for relieving himself from hot and humid summer of the plain. So the trend was followed as a tourism all over India. They marked their footprints here at Shimla in kind of architectural monuments which are now the sight worthy for the tourists. Nature has blessed Shimla with some great views of Himalayas. The thick pine(deodar) forests around Shimla makes the city health friendly as climate is always been treated here pleasant. In the summer people comes here to have the slight sigh of relief from warn and hot weather of plains and in winter the curiosity to watch and play with snow attracts the visiters here. Snowfall in Shimla region scatters the supreme beauty all around. People wanders, enjoys sunbath and Shops and goes to restaurent for tea and coffee. This is all the part of enjoy in Shimla in Winters. with Shimla Manali tour package we provide all possible views and visits of all destinations in Shimla. Jakhu hill is the peak of the Shimla city . A very fine cedar forest covered hill with beauty of nature surrounded. The high devdaar/cedar/pine trees and the continuous breeze blowing thrills the body and mind. 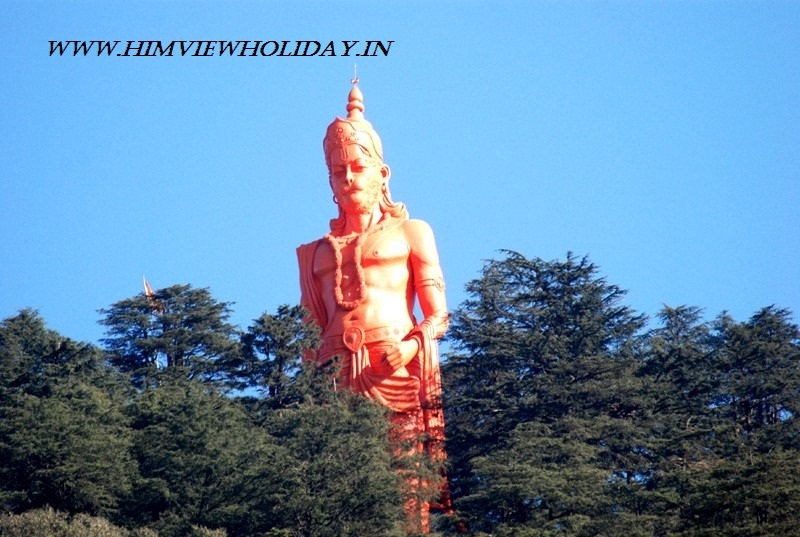 The hill has its religious value too, popular Hanuman temple and a Statue of Lord Hanuman visible from far distance makes the place visitable.A historical or mythological story is also bound with the place. In temple campus there is pretty flower park also.In Shimla Manali tour package we provide a day for local Shimla for one day. Kufri is a very popular hill tourist destination of Himachal. The high altitude little valley of kufri attracts the visitors to see the snow in the winter and feel the cool in summer as this place is almost cool every season. Kufri is been popular for weekend holidays because of its nearness to the cities like Delhi and Chandigarh etc. Fun parks and adventure activities like zip line, horse riding are also available here. In Shimla Manali tour package in Shimla local its been included. 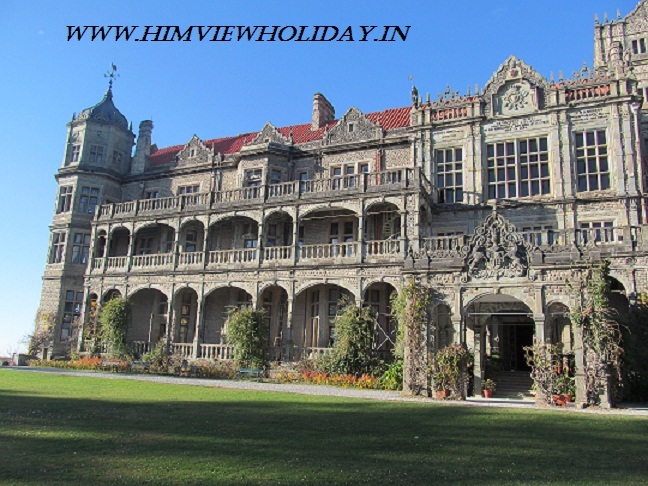 Viceregal lodge or at present known as Indian Institute of Advance Studies. A very fine architectural monument from the British era is now in use as for higher Indian studies like doctorate etc. The building located in a best of Shimla place is available for visitors. 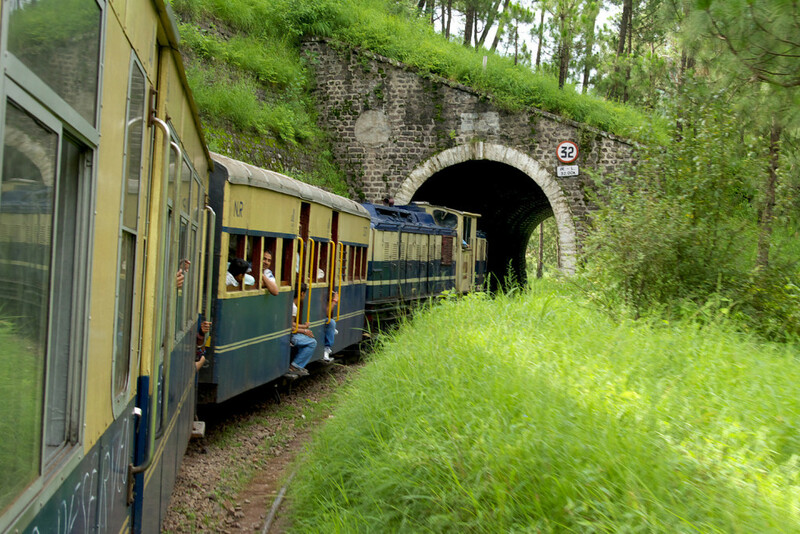 Included in Shimla Manali tour package. The very popular Ridge ground is popular among visitors as well as the locals. The famous Christ Church is the picture symbol of the city. The mall road is another place to wander around. This is a very popular place to shop, the visitors can shop or enjoy some delicious food over here.Some restaurants provide local dishes too. Some other places that could be visited within the time-frame are Kali bari temple, Rani Jhansi park, ice skating rink and Sankat mochan Mandir in Shimla city. Manali, one of the most popular tourist destination of North India. The name of Manali is associated with the Sage Manu, the mythological lawmaker of India and the place was known for his residence as the home of Manu. The second part of our popular Shimla Manali tour package from Chandigarh. The pleasantry atmosphere and secluded nature of the place attracts people to wander and stay here. The place is very popular among couples especially honeymoon couples. Manali is places in Kullu or Beas valley and is the most beautiful place among all. The frequent visits of Indian and foreigner tourists are seen here. The far remote places of around Manali are getting more and more popular among the visitors. In Shimla Manali tour package we tries best to explore Manali with most affordable prices. 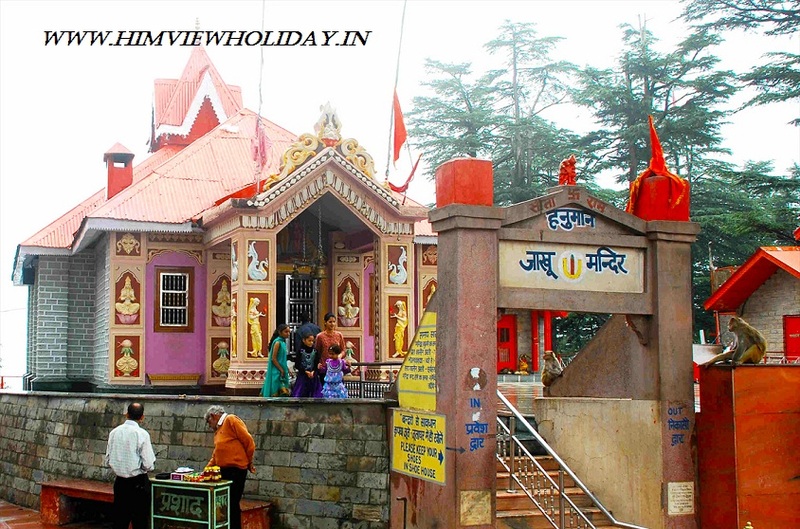 Shimla Manali tour package from Chandigarh includes Hidimba devi temple which is famous for its architectural uniqueness of pagoda style roof. The history of the temple is correlated with the Pandava age character Devi Hidimba demon wife of Bhima, one of the pandavas. 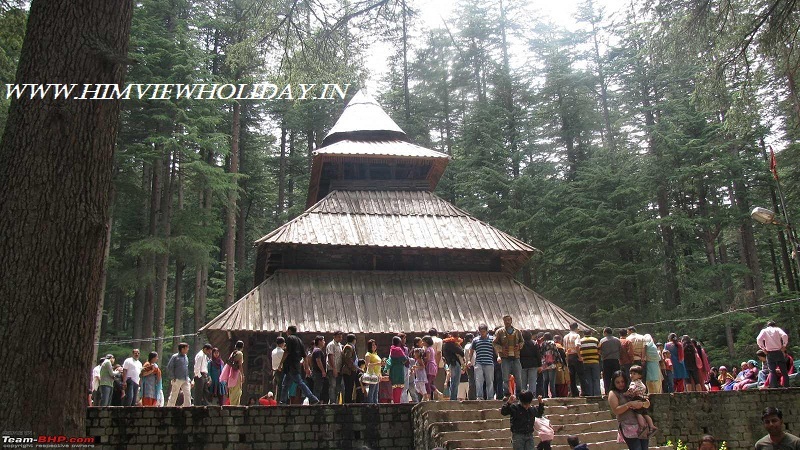 The temple has become the picture symbol of Manali. Ghatotkach open temple is also little away from the Hadimba temple. 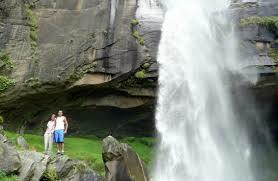 The place is included in local sightseeing in Shimla Manali tour package. The very famous sub-valley of Kullu valley, one of prettiest among the region. The valley is known for picnic hotspot. Solang Valley or Solang Nala is very popular among national and foriegn tourists.The fast flowing river Beas, huge green grassy ground where people want just stay calm down with there stressed life. The place is available for skiing in winter and paragliding in summer and other pleasant seasons. Shimla Manali tour package provide sightseeing of solang on the way to Rohtang pass. Rohtang literally means the pile of corpses is ironically nowadays popular for its snowpoint and splendid view of Kullu valley. It seems the zenith of the world and visitors seems out of the world reaching over here. This place is the adventurists heaven as to even cross the pass is a thrilling adventure. The pass is available for tourists for May to October. Shimla manali tour package includes Rohtang in second day tour at Manali. 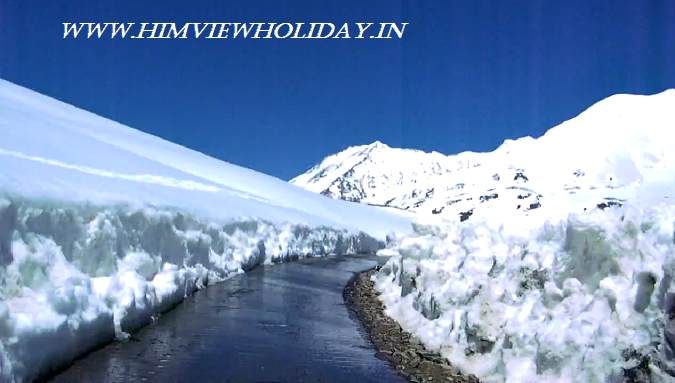 In season time it is upto Rohtang and in off season up to snowpoint the sightseeing is provided. Shimla Manali tour/travel package also includes the sightseeing of Van Vihar, Club House, Vashisht,Nehru Kund, Rahalla falls are some splendid destinations. Shimla Manali tour package from Chandigarh is the most popular tour package not only in Himachal but also throughout in India. As the combination of both these destinations makes the tourists complete satisfaction. 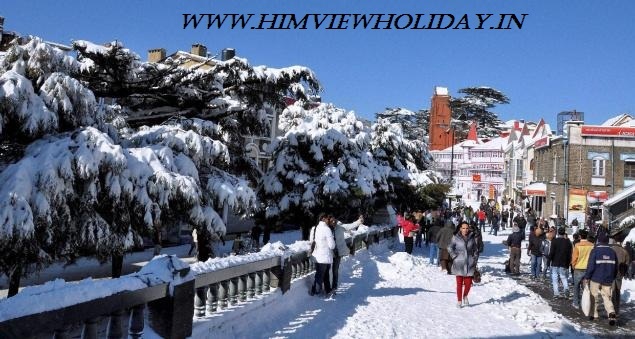 Shimla being the capital of Himachal Pradesh includes all the modern luxury of life and also being full of beauty and star facility whereas Manali also with numerous popular tourists destinations makes the package a jackpot. Manali being close to heights of Himalayas makes visitation of snowy laps of mountains and Shimla in the middle of Himalayan forests with pleasant breeze chills the soul of the visitors. So in conclusion the Shimla Manali tour package is indeed a naturally most popular package. Reaching at Chandigarh Station our exclusive vehicle/taxi with a perfectly trained driver will pick up you and proceed to Shimla. There are some very fine visitors spots like Pinjaur, Barog and Solan etc. Check in and dinner at hotel in the evening. After morning tea and breakfast proceed to the local sightseeing of Kufri, Fagu. The destinations of Shimla city are The Ridge, Mall road, Lakkar Bazar,Kali Bari temple, Jakhu temple, Sankat mochan temple are the destinations covered in the package. Check in and dinner at hotel at Shimla. After morning tea and breakfast proceed to Manali. One of the finest valley views of Kullu or Beas valley. One the way many stop overs are there as Bilaspur, Sundarnagar, Mandi,Kullu , Pandoh Dam, Hanogi Mata temple and Naggar castle. Stay and dinner at hotel at Manali. After morning tea and breakfast proceed to Rohtang pass, the most popular place where every tourist wants to go. In winter time we provide upto snow point in our package. On the way Solang valley, Vashisht, Nehru kund, Rahalla falls etc. are some popular stopover. Stay and dinner at hotel at Manali. 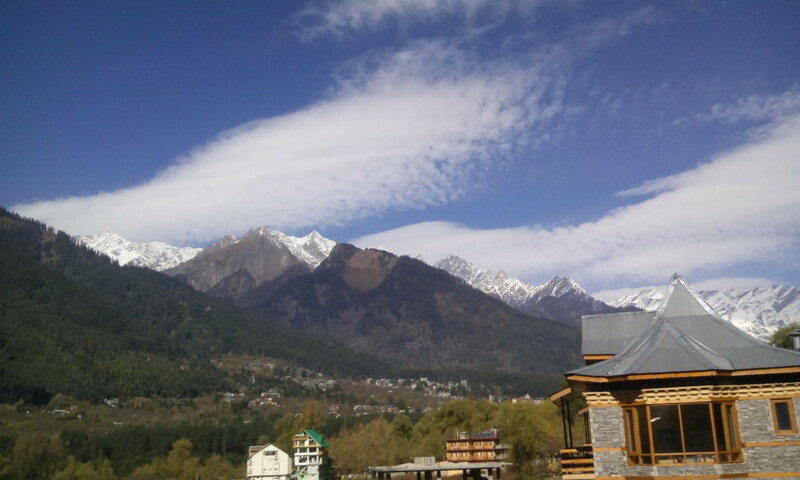 After having breakfast step out for Manali local sightseeing. The numerous destinations like Hadimba temple, Van vihar, Club House, Tibetan Monastery etc. The Manali market is available for shopping and restaurants for food. The visitors can buy local hand-looms at market and can enjoy local Indian, sub continental and Chinese food over here. Stay and dinner at hotel. After morning tea and breakfast checkout from hotel. With sweet memories of tour in mind proceed to Chandigarh and drop to Railway station/Airport/ Bus stand for onward flight/train etc. Winter session is just going to close with an exclusive offer on discounted prices. Flat 40% discount on Shimla Manali tour Packages. Special offer on summer holiday tour packages on Shimla Manali tour package from Chandigarh on best prices.Book your tour right now and get best prices on our Shimla Manali tour packages. Shimla Manali tour package is getting popular day by day as in summer especially as the tourist points are quite adventurous for couple and groups. Our other then Shimla and Manali tour packages with best deals are Kinnaur tour packages, Shimla tour packages, Dharamshala tour packages, Dalhousie tour packages and Kinnaur Spiti rohtang pass tour package.